← Happy Birthday to Me! Vegan Cupcake Recipe for YOU! This entry was posted in BBQ, CSA, Quick Cooking, Seasonal Ingredients, Vegan, Vegetarian and tagged asian cabbage, bak choi, blandford nature center, bok choi, bok choy, CSA, seasonal, summer foods. Bookmark the permalink. 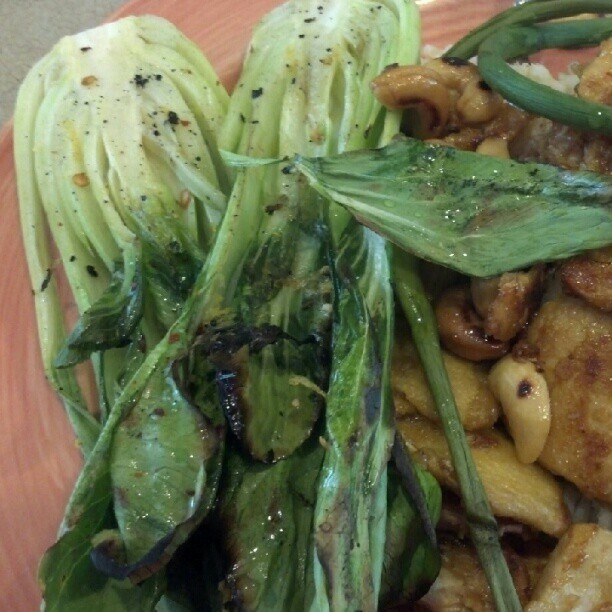 Weird, we had bok choy last night too! We picked up some baby from the Farmer’s Market. I just chopped off the ends and cut it all up – made a sauce from a bit of hoisin, sriracha, soy, garlic and ginger. Cooked it down a bit in sesame oil, and then added the sauce to finish. Delicious! Good idea. Quick side or main over a grain. That looks scrumptious! And I LOVE simply recipes…she has so many delicious and healthy options. Thanks for the veggie love.